Mish's Global Economic Trend Analysis: Vancouver B.C. vs. Donegal Ireland Real Estate: What Will $890,000 Buy? Vancouver B.C. vs. Donegal Ireland Real Estate: What Will $890,000 Buy? Inquiring minds seeing new data on Vancouver's massively overpriced real estate just might be seeking new comparisons to other places. First, Let's take a look at what $890,000+- will buy in Vancouver. Description: "This 1 ? story home has been extensively renovated over the last few years. The spacious kitchen has birch cabinets and Soapstone counters and opens to a 20x12' deck. On this level are 2 B/Rs and a modern 4pce bath. Upstairs has an office/den area, a 4pce bath and a big master B/R with a W/I closet and 12x8 view deck. The bsmt has a 1 B/R suite rented at $960 P.M. and the attached garage has been converted to a workshop with French doors opening to the fenced garden, with B/I bench, a patio and a kid's sandbox. " 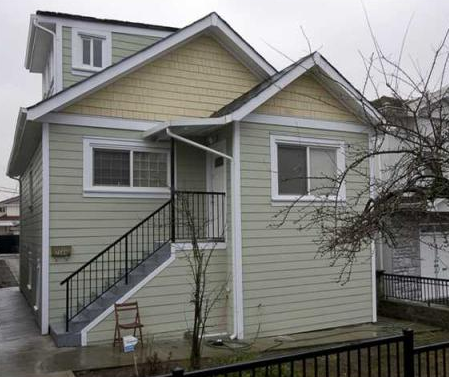 That creative listing puts a new meaning to the the word "upstairs". Is the number of stories listed at "1?" really in question? Description: "Complete Transformation! Brand New Envelope! Hardie plank & cedar shingles, new windows, new electrical panel, new HW tank, new plumbing. 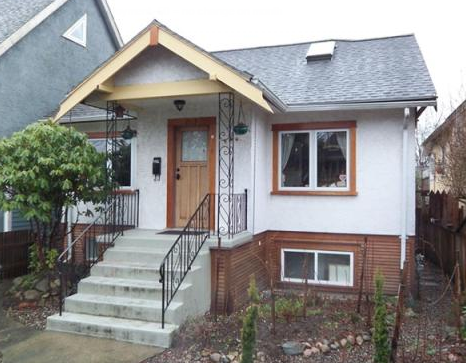 Spacious 3 level home on extra deep lot!" I believe it's safe to say the above creative listing puts a new meaning to the phrase "extra deep lot!" At least the above homes were arguably livable. Check out this next beauty, and guess the price without looking too far ahead. Description: "Opportunity knocks! Builders and investors need look no further if they desire a view property with multi-family zoning (RM-4). This property overlooks China Creek Park, with amazing views of the North Shore mountains and close to Commercial Drive and two skytrain stations. Priced at lot value, the property is being sold 'As Is, Where Is.'" 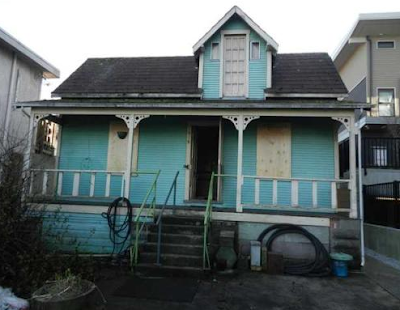 Congratulations to those who guessed the "opportunity knocks" price of $899,000 for this "As Is, Where Is" bargain complete with "amazing views", presumably through the opening where one would normally expect to find a workable door as opposed to the windows that are all boarded up. With those bargain listings in hand, let's consider a single property sale that just took place in Ireland. 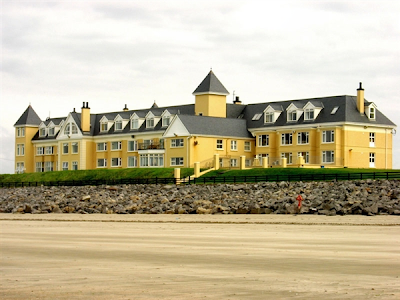 The previous price for the Sandhouse Hotel located in Donegal, Ireland sold at auction was $6 million. Paul Diver has purchased a spectacular 55 bedroom hotel overlooking the Donegal coastline for a mere $860,000, down from the $6 million price the original owners sought for the Sandhouse Hotel three years ago. 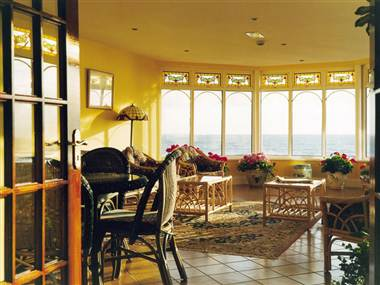 Diver, who managed the Sandhouse Hotel in Rosnowlagh for 20 years, was delighted to secure the 50 staff members their jobs. He told msnbc.com on Friday that he had been willing to go "a bit higher" when the hotel was auctioned this week in Dublin, but was delighted when his reserve-price bid was accepted by the auctioneers. Overall, Irish real estate prices have crashed since 2007-08, when the so-called "Celtic Tiger" economy collapsed. Home values have fallen more than 60 percent below their peak five years ago, and commercial properties have suffered similar declines. There you have it: "amazing views" in Vancouver for $899,000 vs. "amazing views" in Donegal for $860,000. It is indeed "different" in Canada.